The Apple iPhone will be getting another competitor very soon with the launch of the Samsung Instinct for Sprint. 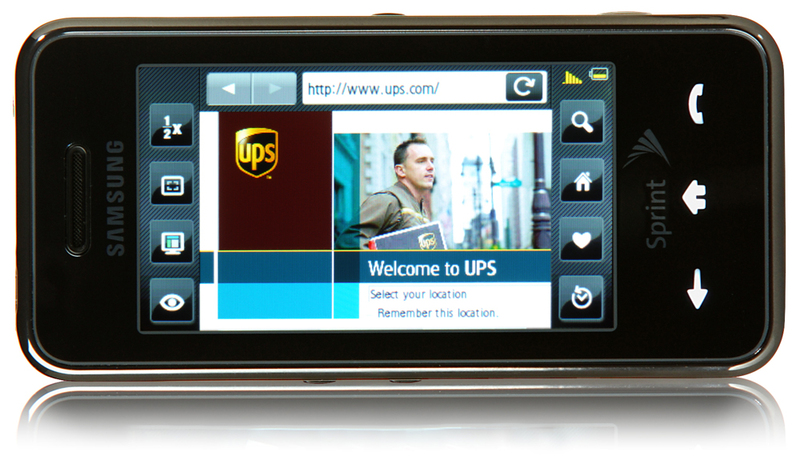 The phone features a large 3.1 inch touch-screen display with tactile feedback to improve the interface experience. 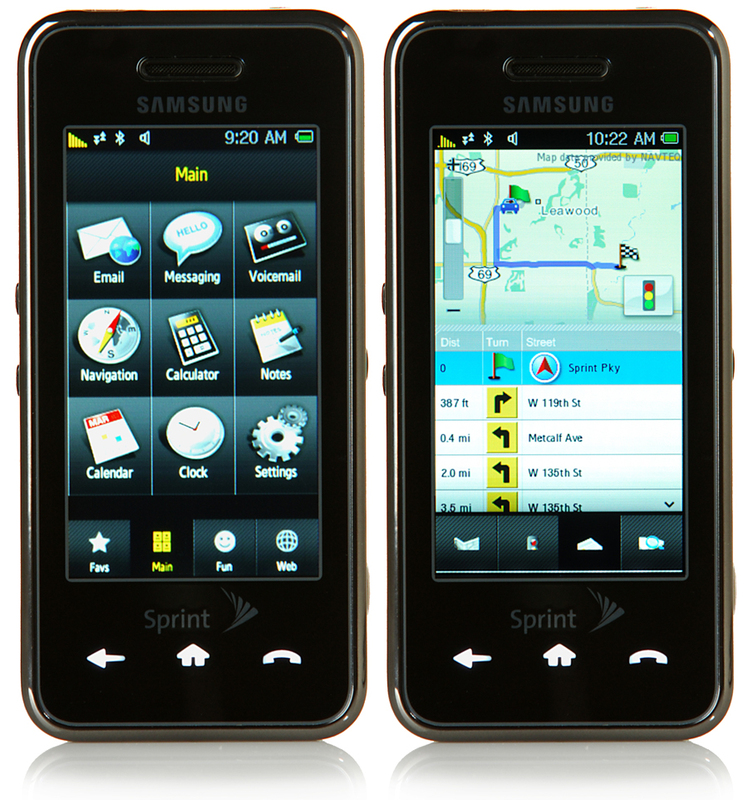 The Samsung Instinct utilizes Sprint’s network to allow owners access to GPS Navigation with Traffic, Live Search, Sprint TV, and Sprint’s Music Store. In addition the phone features EV-DO Rev. A, which means it can be used as a modem with your computer brining speeds of up to 3.1 Mbps for downloads and 1.8 Mbps for uploads. The phone also takes some moves out of the iPhone’s play book with features such as visual voicemail, but also has stuff the iPhone lacks such as a powerful voice-activated dialing and actions. The Samsung Instinct sports a POP3 client, multi-tasking capabilities, Bluetooth 2.0, a web browser, a 2.0 mega pixel camera/camcorder, and microSD expansion of up 8GB. For convenience the phone uses a standard 3.5mm headphone jack and a standard USB cable for syncing music/data. Sprint has not yet set decided on either the pricing or the date for this phone, however we do know that monthly plans will begin at roughly $70 which might be a bit too much for most consumers. There’s a lot of iPhone-like phones coming out, not to say that the iPhone was entirely original either, but most of them such as the LG Voyager have failed to perform in most factors. I LOVE IT!I WOULD LIKE TO HAVE IT.SEND ME AN E MAIL AND TELL ME HOW CAN I GET IT. Dude i so want this phone but sprint is tripping. I got to wait for my contract to expire.